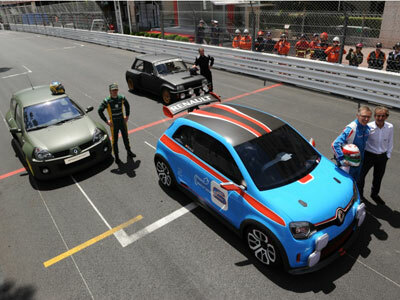 Introduced at the 71st Monaco Grand Prix, Twin'Run is Renault's latest concept car. 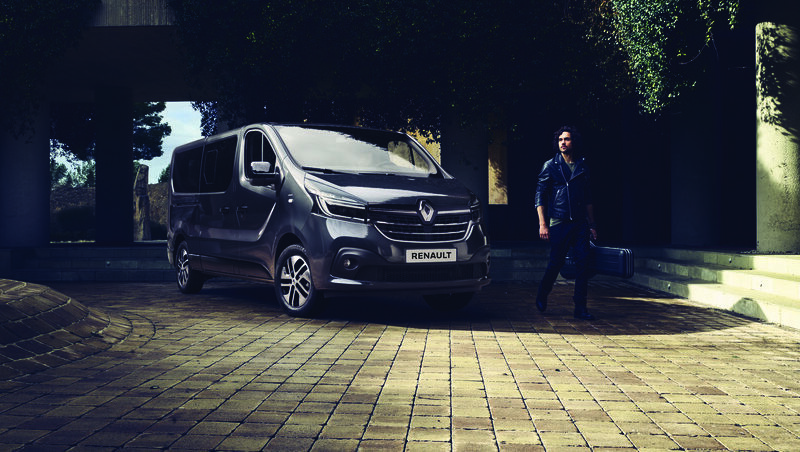 A true heir to the R5 Turbo and Clio V6, it is an overboosted concept that illustrates the "Play" petal of Renault's new design strategy. 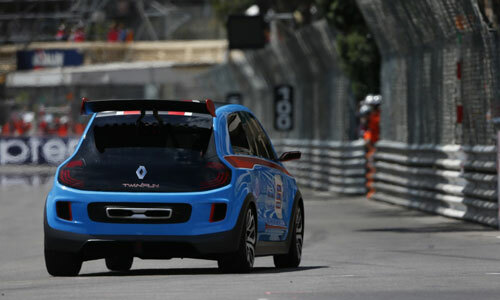 This little hot hatch was driven by Renault COO Carlos Tavares, on the Monaco circuit. 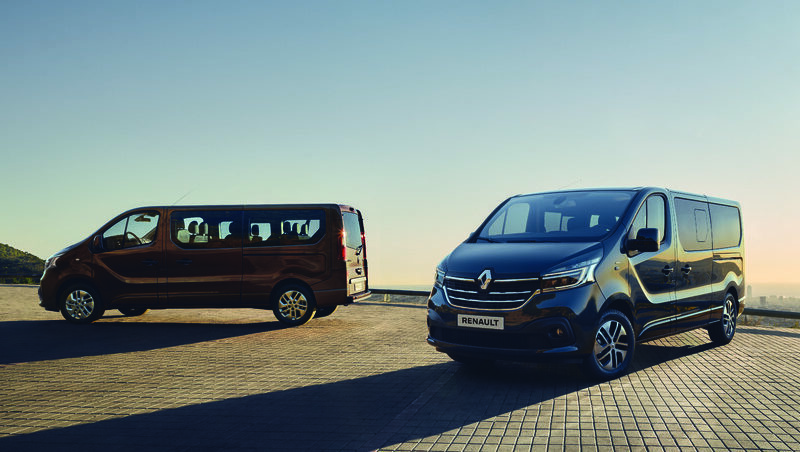 It introduces the future of Renault superminis. 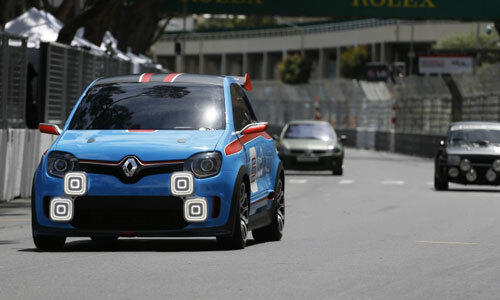 It was racing with an R5 Turbo, driven by the great Jean Ragnotti, and a Clio V6, driven by Charles Pic (Caterham F1 Team driver). Twin'Run concept car is a powered up version of Twin'Z, unveiled about a month ago at the Milan Design Show. It is powered by a mid-engine 320-hp V6. 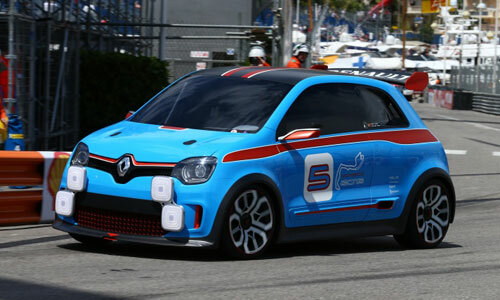 Twin'Run is a true heir to the infamous Renault hot hatches : R5 Turbo & Clio V6. 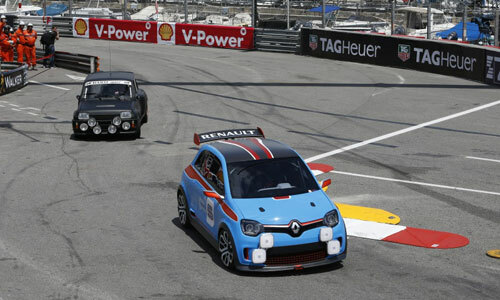 Blast from the past, R5 Turbo and concept-car Twin'Run racing on the Monaco circuit. 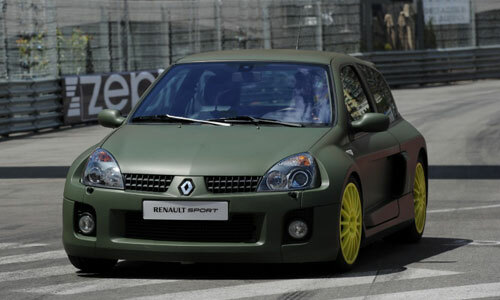 Clio V6 featured in the Twin'Run video below, was driven by French F1 pilot Charles Pic (Caterham F1). What a team (from left to right) : Laurens van den Acker, Senior VP, Renault Design; Charles Pic, Caterham F1 pilot; Jean-Michel Jalinier, Renault Sport F1 CEO; Carlos Tavares, Renault COO; and drivers Alain Prost & Jean Ragnotti.